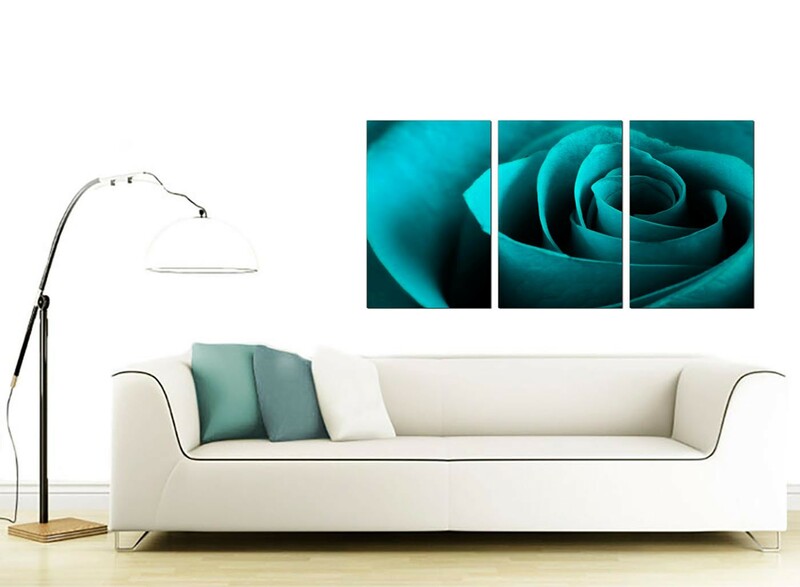 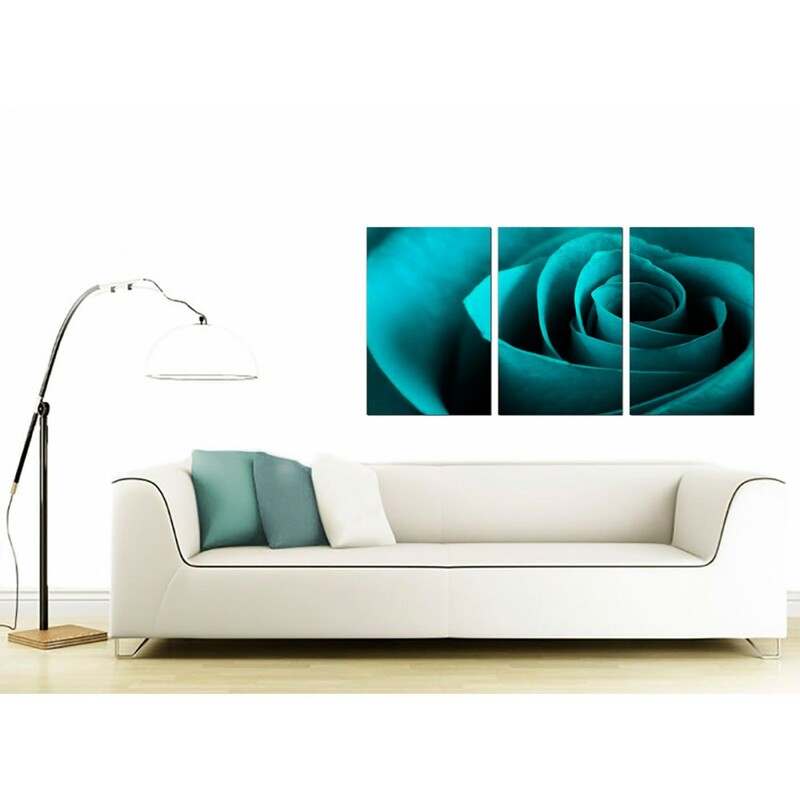 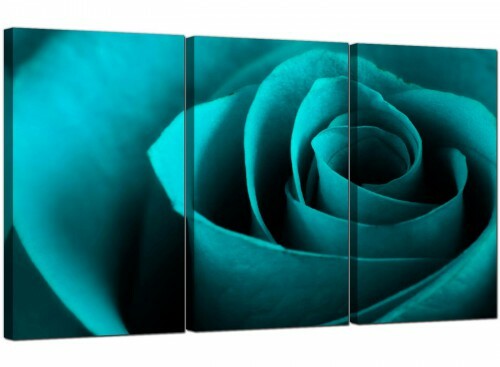 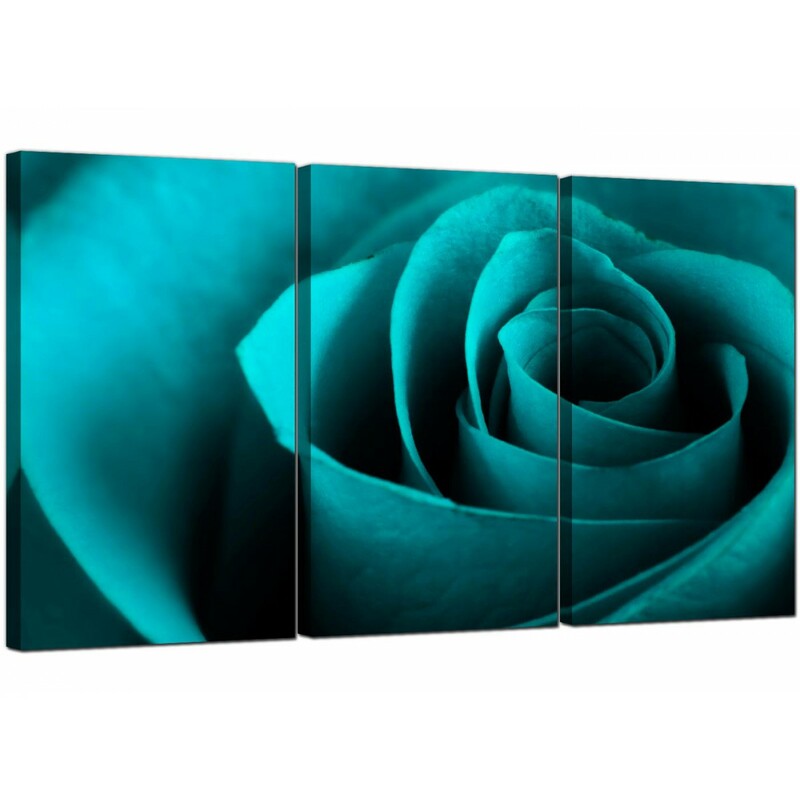 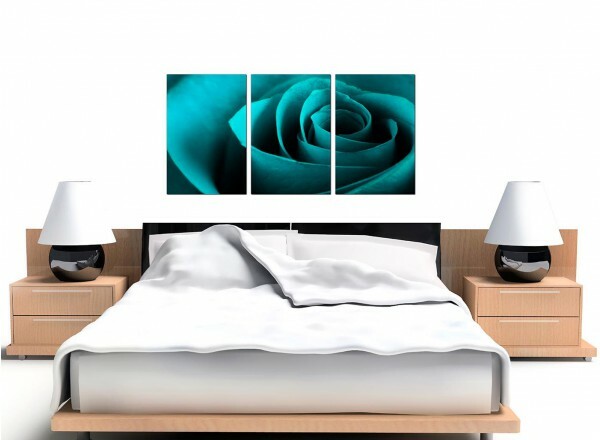 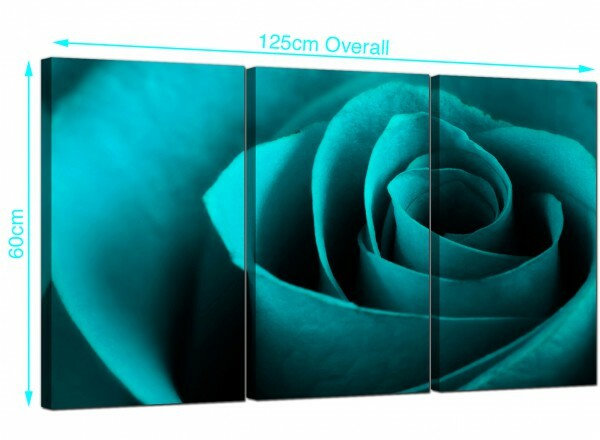 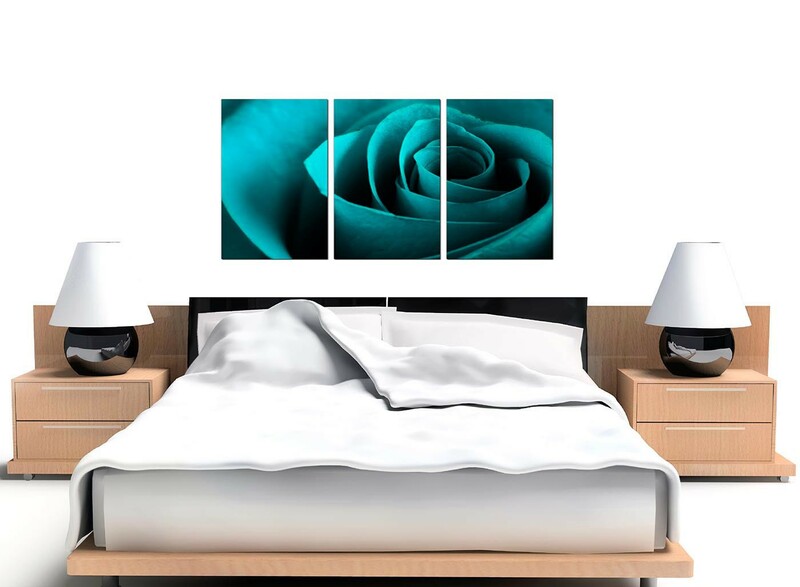 Split canvases of a turquoise rose add a romantic touch to your bedroom. 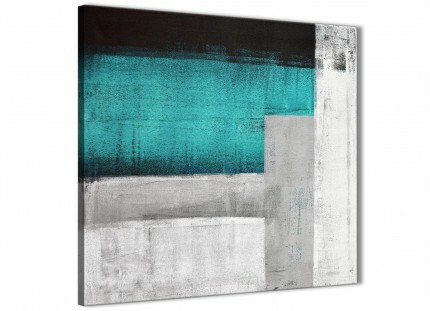 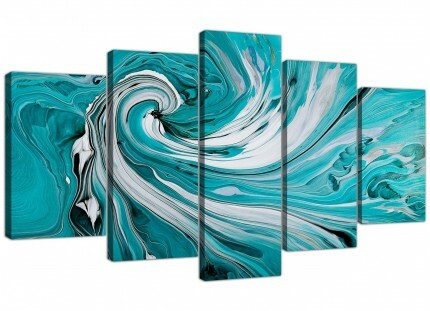 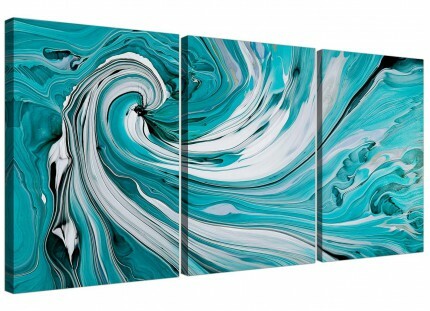 An extra large turquoise elegant three part set of canvas wall art. 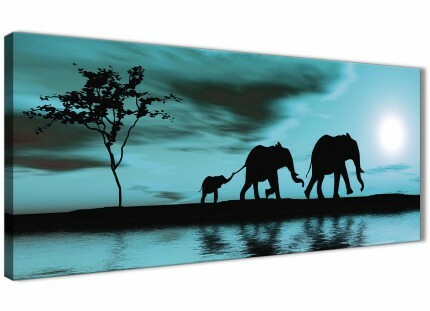 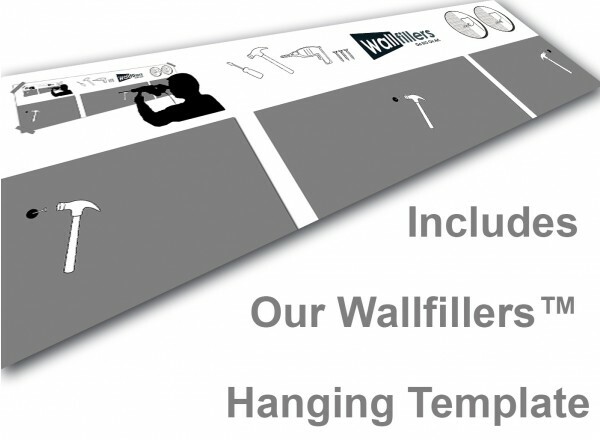 The UK's most trusted canvas print studio. 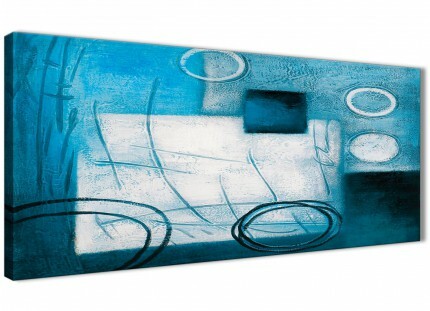 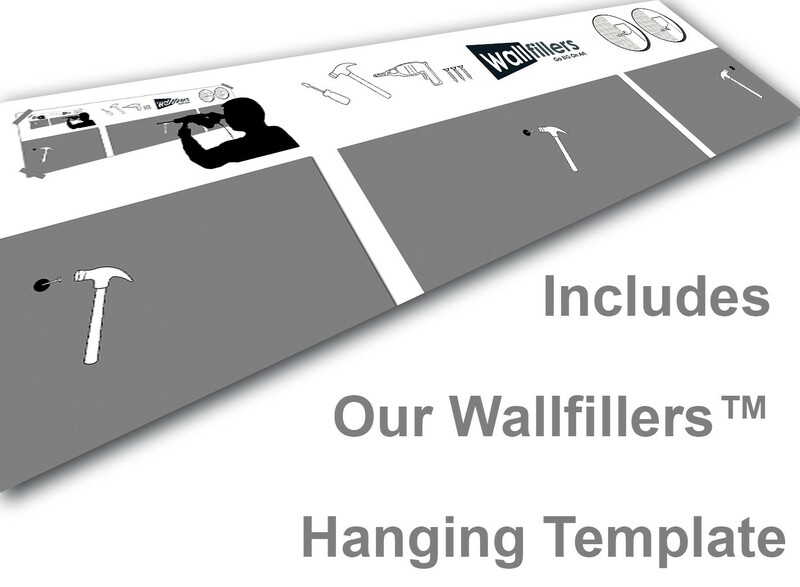 Artwork is reproduced in top quality with with fade resistant inks. 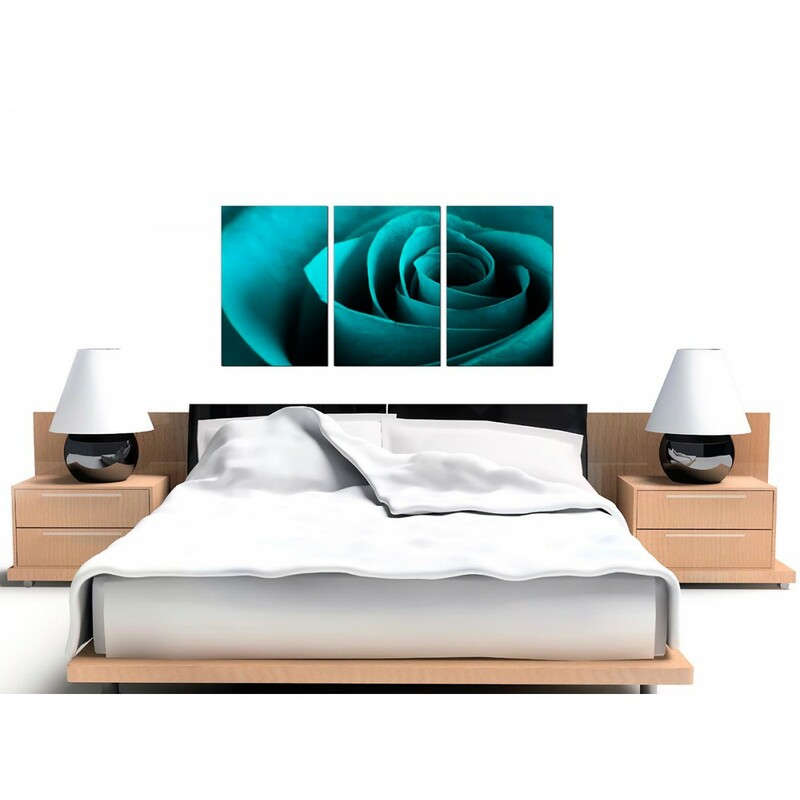 Sutable size for above your bed. Size: 49" x 24" inclusive of gaps. 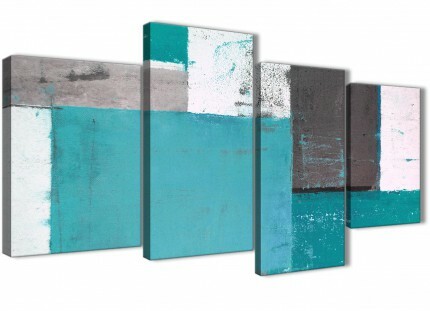 Each of the three canvases measure 16in x 24in. 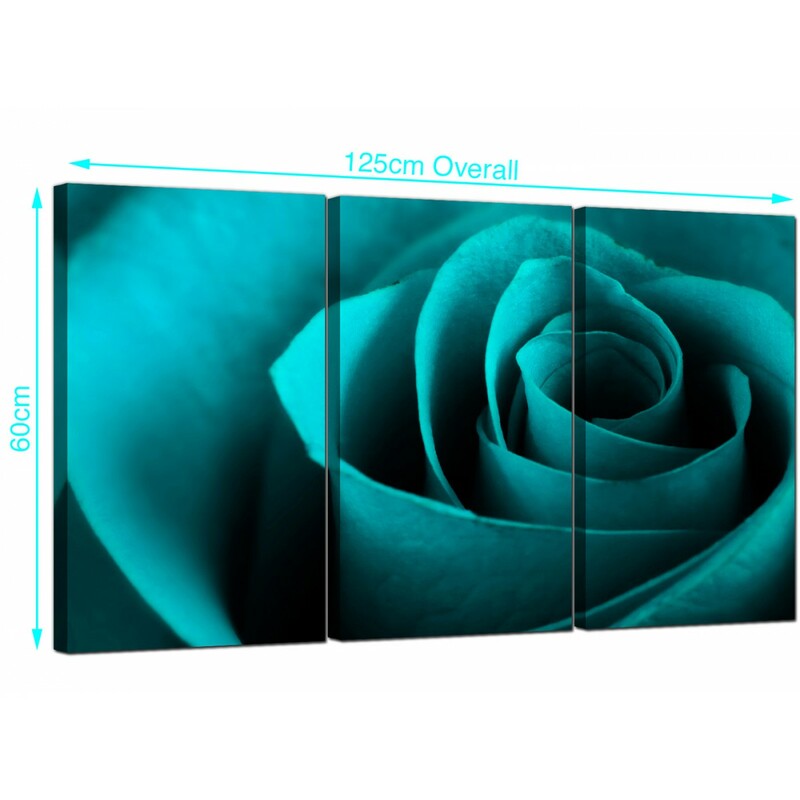 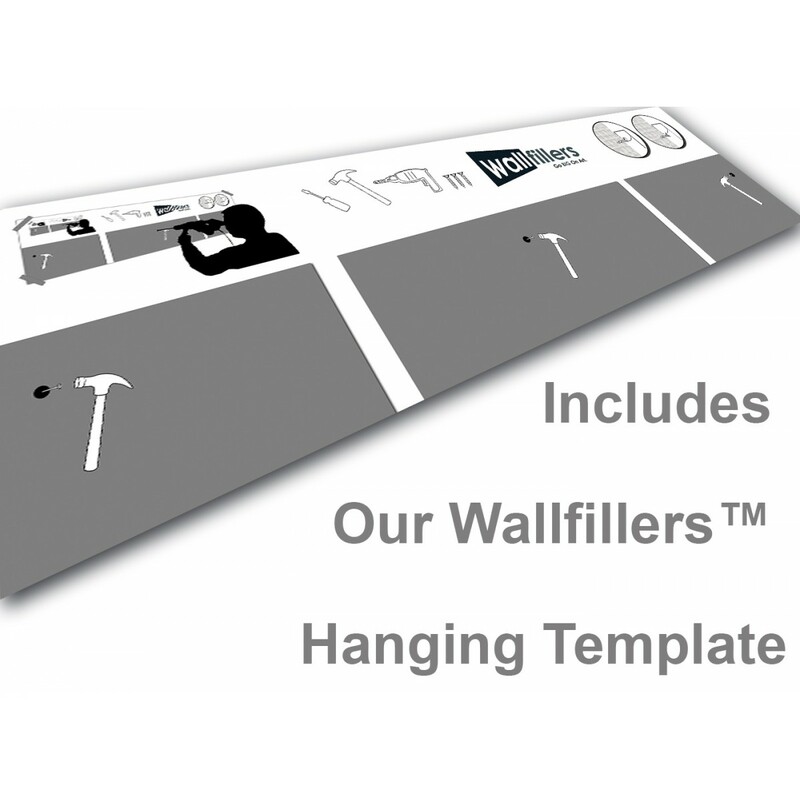 We advise a space of 2.5cm between each canvas.